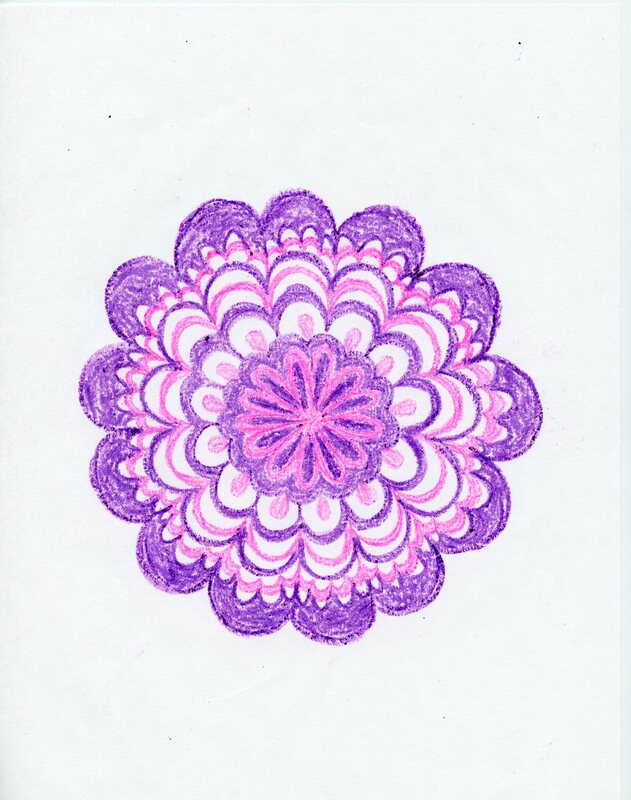 I’m in love with this elegant purple mandala. It’s really regular in symmetry and even thought it’s limited and color and shape, that simplicity opens up a greater complexity in the overall design. Today was a nice day as far as being an artist goes. 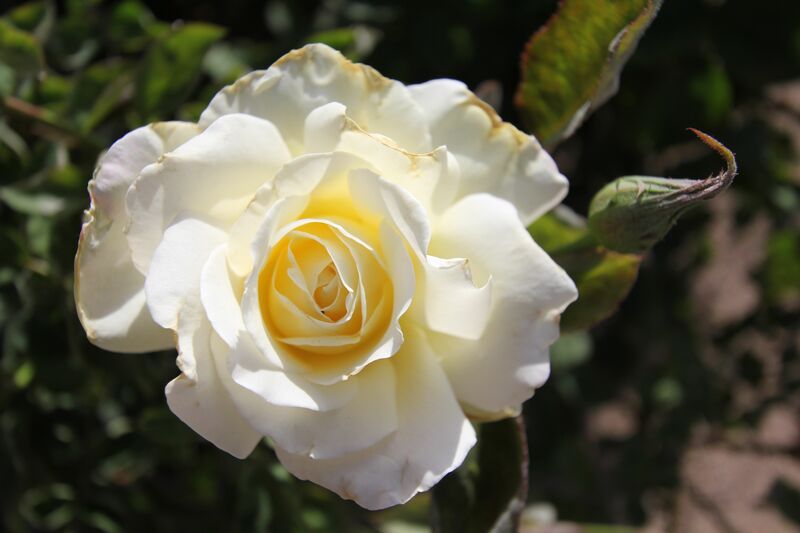 I read fairy tales to kindergarteners, repaired books for the school library, and took a rambling walk in the park, mostly for the purpose of take photos of roses. I also spent a lot of time swinging on the swings, for the purpose of giving little dragon some air. How many hours a week did I spend swinging when I was a kid? Jumping rope? Skipping? I mean, seriously, I probably jumped rope a couple hours a week, every week. Here’s when I stopped swinging a lot: I was probably about 12 or so. I had a Walkman (children…it’s like an MP3 player, but it only holds one album at a time) and I was swinging with my eyes clothes and my headphones on and a toddler ran in front of me and I kicked that little sucker right in the head. I don’t remember the kid’s reaction, but I do remember the mom freaking out. She wanted to be mad at me for swinging with my eyes closed and my headphones on, but she knew it was her own fault for letting her baby run in front of the swings. So today I didn’t close my eyes. A little girl came over and swung next to me. I could tell she wanted to strike up a conversation–I am a colorful person, after all–but she was too shy. Instead, she tried to swing as high as me. I decided that I was going to outswing this kid, that I would keep going longer and higher than she could. Trying to keep up with kids is better than a FitBit. So I ended up pumping for way longer than I would have otherwise. Eventually, the kid had what sounded like an asthma attack and stopped swinging. Which means I won!!! Then The Man and I went out with the Missesses Kitty and ate a really unreasonable amount of West African cuisine, which I have been obsessed with all month. Fufu! Peanut sauce! Goat! Good stuff. This entry was posted in mandala, mandalas and tagged flower, flowers, food, inner child, kids, mandala, mandalas, playground, roses, swings on April 16, 2015 by littledragonblue.